AvtoKrAZ holding company is an automaker founded in Kremenchug, Ukraine. 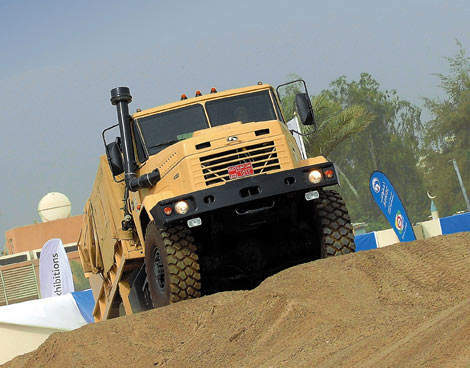 It is known in more than 60 countries for its powerful and reliable heavy-duty vehicles, which are simple to operate and have been extensively tested on a variety of roads. The vehicles are developed considering the requirements of military vehicles’ multi-functionality. 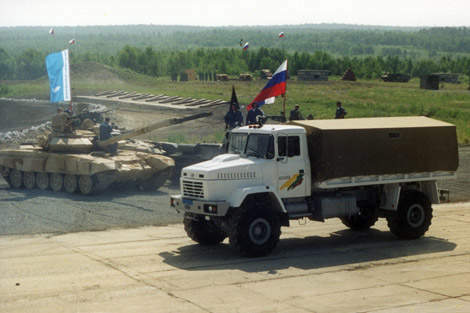 Owing to their high technical capabilities, KrAZ heavy-duty military vehicles are used by many armies around the world. Scores of special military equipment products are mounted on KrAZ chassis. KrAZ vehicles are equipped with diesel engines from the Yaroslavl motor plant (Russia), with power of 240hp to 400hp. At a customer’s request, vehicles can be equipped with the engines of leading foreign manufacturers, such as Deutz, Cummins or Volvo. KrAZ vehicles meet road-safety requirements and EURO-2 standards. They can be supplied as machine sets, providing cost reductions. 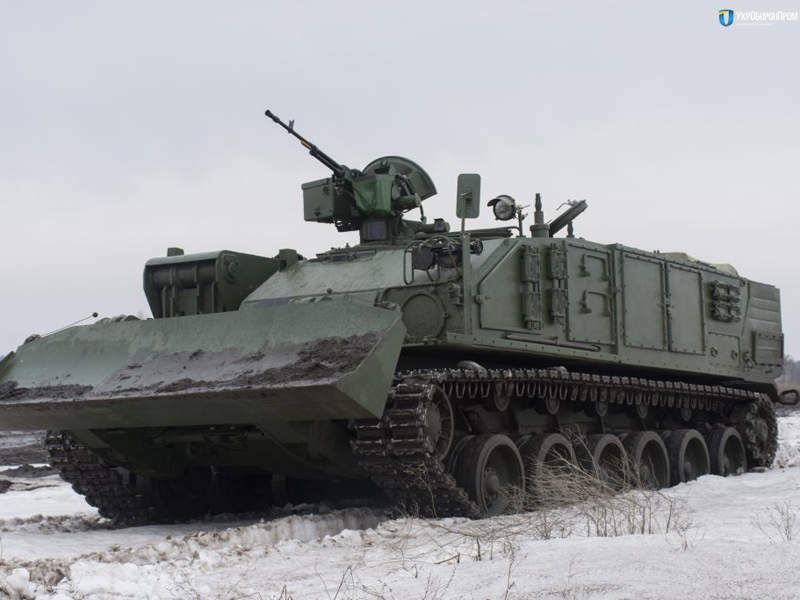 Even in complete off-road conditions and extreme temperatures KrAZ military vehicles can carry pontoon parks, missile systems and radio-engineering complexes, transport crew and different cargoes. They can travel in conditions and on terrain in which other military vehicles cannot operate. The range of KrAZ vehicles includes 25 base models and more than 150 modifications of two, three and four-axle vehicles with 4×4, 6×4, 6×6, 8×4 and 8×6 wheel arrangements. They are intended for public-order control, peace-support missions and other military functions. 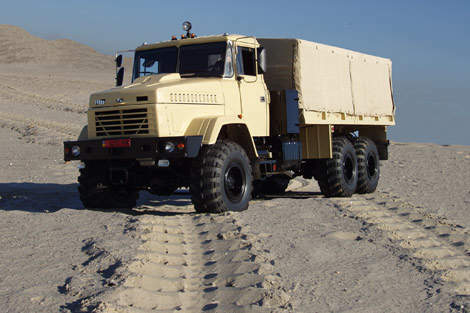 The KrAZ-6322 (6×6) is a vehicle of high cross-country ability, equipped with a platform and intended for different cargos and crew transportation; it can drive on all roads, off-road and in cross-country. The vehicle operates in the Iraqi, Egyptian, Indian and Yemeni armies. Its payload provides a capacity of 12,000kg at a maximum negotiable slope of 58%. The KrAZ-6322 provides a capability to tow aircrafts of 75t on concrete surfaces at an airfield, and can house 32 soldiers with their ammunition. 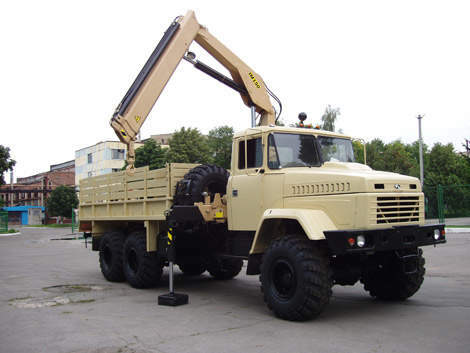 The KrAZ-5133BE (4×4) vehicle is equipped with a platform and intended for different cargos and crew transportation, and the towing of transport and special trailers, as well as aircraft at airfields. It can operate on different types of roads, off-road and cross-country. While testing in military ranges this KrAZ vehicle showed its excellent performance in cross-country ability, mobility and speed. Fordable depth on a firm bottom is 1.2m at 5,100kg of payload. The KrAZ-6446 (6×6) truck tractor is intended for transportation of different cargos. It can be coupled with a semi-trailer and operate on all kinds of roads, off-road and cross-country. The truck tractor’s maximum speed is 80km/h, its maximum negotiable slope 18% and its turning radius 13.5m. The advantage of this vehicle is the capability to tow a semi-trailer with a full mass of 34t in off-road and high-temperature conditions. The KrAZ-6135B6 heavy military vehicle has a Euro 3 engine and an automatic gearbox. It is intended not only for ordinary cargo, but also for transportation of 20ft sea containers. A dashboard display shows the different parameters of the engine and other units’ operation, in particular speed, fuel consumption and cooling-liquid temperature. An Allison automatic gearbox provides the vehicle with a 10t plate of ballast in the body with perfect dynamics. Its maximum highway speed is 100km/h thanks to the decreased ratios of the main gear (6.154 instead of 8.173). The vehicle can drive for long periods with a minimal stable speed of 4km/h without overheating. In motion on the roads the front axle can be released, saving fuel. The KrAZ Raptor (6×6) heavy armoured vehicle is intended for transportation of 20 soldiers with their ammunition. The armoured cargo-module provides reliable ballistic protection against 7.62mm x 51mm, M80 NATO ball ammunition (NIJ level III, CEN B6), at a zero angle of deviation. The comfortable cabin is climate-controlled. All the units and aggregates of KrAZ vehicles are reliable in operation and easily accessible for maintenance and control. The quality-control system of the AvtokrAZ holding company is certified according to the international ISO 9001:2000 standard. The excellent technical parameters of AvtokrAZ’s products have been rewarded many times with diplomas and honorary rewards, among them the Arch of the European International Gold Star (Madrid), a European prize for quality and diplomas of international auto shows.